Eddie Melton was elected as State Senator for Indiana’s 3rd District on November 8, 2016. 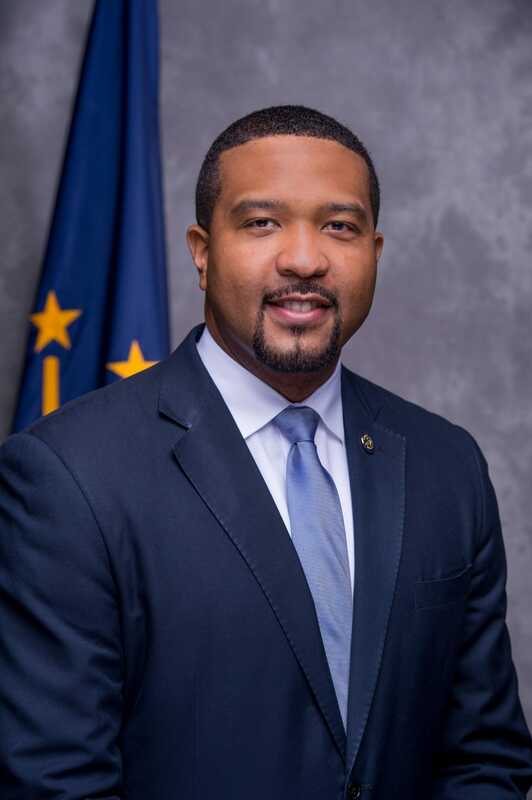 In addition to serving in the Indiana General Assembly, Melton serves as the manager of Corporate Citizen and Community Relations for Northern Indiana Public Service Company (NIPSCO). Prior to joining NIPSCO, Melton worked as a grant ofﬁcer for the Legacy Foundation, Lake County’s community foundation in Northwest Indiana. 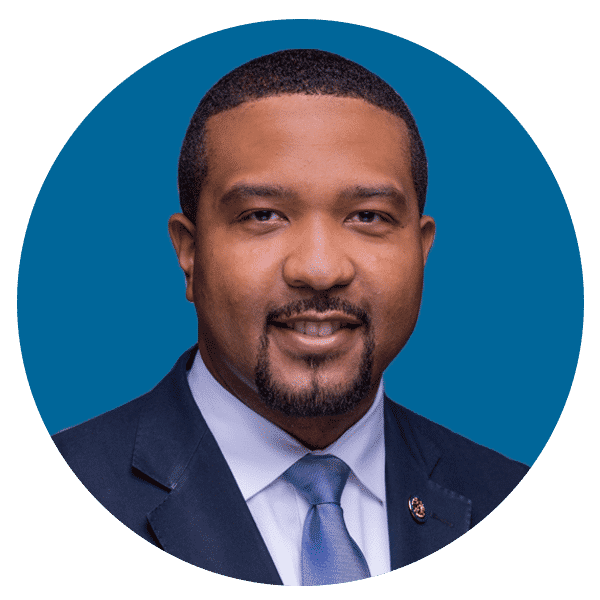 Melton has served as chairman of the Indiana Commission on the Social Status of Black Males, has served on the State Board of Education, representing the First Congressional District of Indiana and has also served as a national board member for the American Association of Blacks in Energy (AABE). Melton has been recognized as a national leader in the area of youth mentoring. Since 2005, he has been instrumental in establishing and training mentoring organizations around the country. In 2015, Melton worked with President Barack Obama’s Administration in implementing “My Brother’s Keeper,” an initiative designed to address persistent opportunity gaps facing boys and young men of color. In 2016, Melton was also selected to participate in a fellowship program in Israel for national African American leaders, sponsored by the American Israel Education Foundation (AIEF). Through this intensive educational experience, Melton explored critical foreign policy and national security issues affecting both Israel and the United States. Melton has been recognized with multiple awards and accolades, such as; the top “20 Under 40” young professionals in Northwest Indiana by The NWI Times Media Company (2010) and is a (2012) South Shore Leadership Award winner and Freshman Legislator of the Year by the Indiana Association of Rehabilitation Facilities. Melton was recently elected by lawmakers from around the country to serve on the Executive Committee of the National Conference of State Legislators. He is a member of the Kappa Alpha Psi Fraternity Inc. and received a B.S. of Organizational Management from Calumet College of St. Joseph. 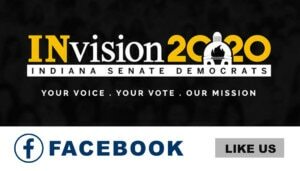 Melton serves as the Ranking Minority member on the Senate Education and in 2017 was appointed Deputy Chairman of the Indiana Democratic Party. He lives in Gary, IN with his wife Crystal and their four children. 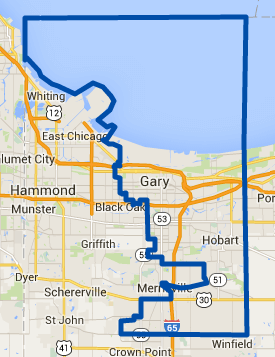 Indiana Senate District 3 encompasses portions of Lake County. District 3 communities include Gary, Lake Station, New Chicago, Hobart, Ainsworth, Merrillville and Crown Point.